-1989 was quite a special year for the world of music. While not the most plentiful in terms of album releases, every album released meant something to their respective genres and captivated the world over. For R&B, they were still riding a wave of amazing albums from two of the biggest stars at the time, Bobby Brown and Michael Jackson. 1987 and 1988 was firmly Michael's year, while Bobby came with some heat to help close out 1988 and carry his momentum into 1989, while MJ had his Bad Tour captivating the world over throughout 1989 as well. Despite this, the year would go on to see other big releases, three of which all stick out as top albums of the 80s to me. As the 80s came to an end, who better to close us out with a superb soundtrack than the 2nd biggest star of the decade, Prince? 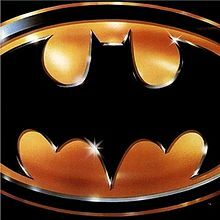 After a string of releases in the 80s, Prince would be given the duty of handling the soundtrack for the Batman film that took everyone by storm. With tracks like "Partyman", "Batdance", and my favorite "Scandalous", Prince delivered on a soundtrack that has sold about 10 million records worldwide, and has to be considered a huge win for the enigmatic artist. Another artist who came with the fire would be my pick for the greatest songwriter of all time in Babyface, who released what I feel was his best album, Tender Lover, this year. With tracks like "Soon As I Get Home", the title track, and the iconic "Whip Appeal", Babyface could do no wrong and delivered a true classic here. Speaking of Babyface, his brothers would debut this year with their first self titled album, After 7, written and produced primarily by Babyface and L.A. Reid. Songs like "Can't Stop" and "Ready Or Not" were too undeniable, making this yet another solid addition to 1989. Three underrated women had projects release this year as well, two of which were original projects, and one of which was a greatest hits collection. The two original releases, from Regina Belle ("Stay With Me") and Stephanie Mills ("Home") were both big releases for the year, Regina more so than Stephanie. 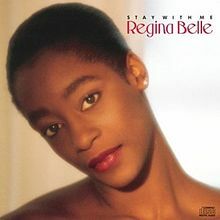 I mean, who could forget the powerful vocal of Regina singing "Make It Like It Was" or "Baby Come To Me". She was something special and this album definitely showed why she was. The greatest hits collection comes courtesy of a family member, my cousin (RIP) Phyllis Hyman (yes, I made sure to mention that she was family... not everyday you have music royalty in your bloodline and I'm proud of it). Her music was timeless to me and over the years she amassed hits and classics, so it was definitely nice to see the collection. Speaking of women in 1989, the biggest release came from the sister of the biggest star in the world. 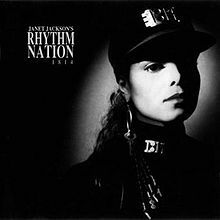 Now, Michael Jackson had broke away from his family and made a name for himself and with this Rhythm Nation album, Janet Jackson would do the same on a huge level. With a ton of hits wrapped up within a conceptual album that spoke to social issues in the world, Janet went from more of the soft spoken singer we knew and appreciated, to a voice for women all around and possibly the biggest female star in music afterwards. With tracks like "Miss You Much", "Alright", "Escapade" and many others, Janet delivered on a project that really stands out as the biggest and possibly best release of the year. 1989 had some solid releases overall, and there are a few more I'll touch on in the outro, but for now, let's get to the rest of the team and see what made them appreciate the year 1989 in R&B. You can't appreciate the present (or future) if you don't know the past and I believe this to be true about music. Today we get to look back at another important year for R&B. While there aren't many releases that stuck out for me, some would be fundamental building blocks for R&B as a whole while others would just be fantastic additions to the year. Let's take a look. I have to start this off with Janet Jackson's fourth project "Janet Jackson's Rhythm Nation". While this album is rarely the topic of discussion in most music conversations, it really should be at the forefront. I can never do this justice, but this album was truly groundbreaking in every sense. The social consciousness that Janet brought to the mainstream was unmatched by any artist and the impact this album had would inspire future groups like En Vogue, TLC and solo artists like Rihanna, The Weeknd, Beyonce and so many others. Personally I love Janet Jackson, her songs have always had a connectivity that I can't find in many artists. She's always innovative and proved to not only be a pioneer of "crossover genres", but also one who could pave her own way despite her brothers global success. This album would generate seven singles that would all top charts (she even beat Michael Jackson's Thriller chart toppers). "Janet Jackson's Rhythm Nation" is solely to thank for making 1989 a standout year and a pathway for upcoming artists. The significance of this album is truly unparalleled. Janet was a tough act to follow, but the embodiment of (new age) R&B himself releases an album and of course I'm talking about Babyface. This was the year he released "Tender Lover". There is nothing bad I can say about Face. He's talented beyond words whether that's writing music, singing it, playing the instrumentals for it or inspiring others, and he gives us that here. In fact, this album would be the first time the industry got a true first hand listen at that talent. 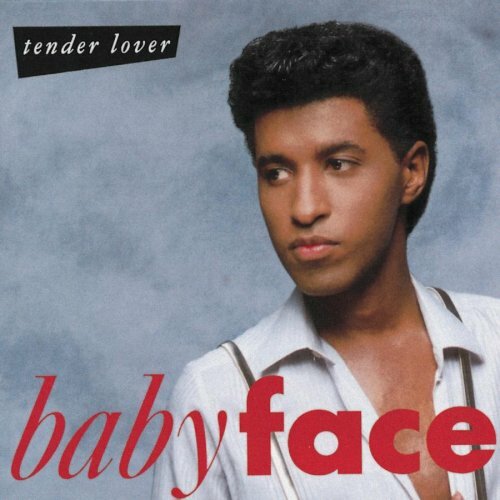 He wrote and provided his own instrumentals for this entire project and with four released singles, Babyface managed to get himself somewhere in the top 10 week after week. Each one of the songs brings sentiment, love-inspired ballads and emotion that spoke to fans (and what Babyface would become so well known for). Any year that sees a release from him is going to be great and '89 was no different. 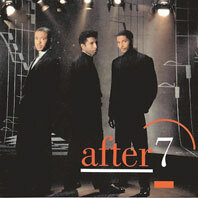 Another album worth mentioning is actually from a British R&B group. For those of us who remember Soul II Soul, it was the year they released their debut "Club Classics Vol. 1" which gave us the song "Back To Life" (one of my favorite songs of that year) and while the group was seven members deep, they were sort of an unintentional group. Regardless, they found their niche in making bangers and incorporating R&B, hip hop and African cultural beats to their work. Soul II Soul saw a ton of membership changes over the years, but not before they would scoop a Grammy for "Back To Life" even though it wasn't their most popular song ("Keep On Movin" was). Needless to say, the eighties would have been bleak without this album. 1989 would prove to be the beginning of the golden era for R&B, as there really was something for everyone. While there were more releases to discuss, those I mentioned are the most significant to me. It's clear that 1989 was a year that would pave the way and lay the groundwork for so many future artists. In 1989 there were many vets just staying afloat. We saw debuts from Soul ll Soul and Christopher Williams. Prince would release a soundtrack album to Batman. It was the beginning of the end for Milli Vanilli. There weren't many albums of significance released this year to me, but if we're talking singles then of course there were some keepers. Janet Jackson was back with 20 new tracks after a few years on an album that was different from her previous three. This time around she was zeroed in on being socially conscious. Rhythm Nation touches on injustice, crime, drugs, helping yourself, helping each other, prejudice, loneliness, impressed, bigotry and love all while infusing elements of R&B, New Jack Swing, Funk, Pop, Jazz and Rock. My favorite tracks on this are "Love Will Never Do Without You", "Alright", "Escalade" and "State of the World". 1989 is the year Janet made a statement, going on to become the best selling artist of 1990. Inspiring dance as well, she really took over and moved the nation. -Now, for me the last releases I would talk about have been mentioned somewhat by the rest of the team. 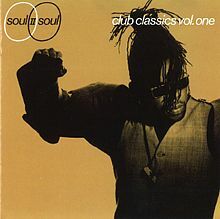 Soul II Soul had a really good album that always brings nostalgia to me when I hear it, and while "Back To Life" is the most known to many, my favorite was always "Keep On Movin". 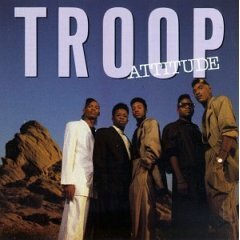 In addition to that group, Troop would come with a solid album, their 2nd project "Attitude". Full of dope tracks, this album spawned my favorite song from them, "All I Do Is Think Of You", so it is a huge memory from the year for me. 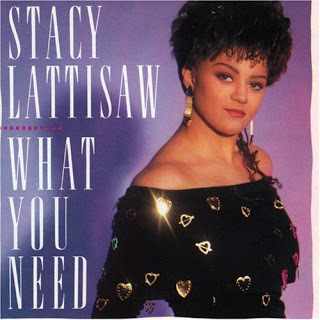 There were releases from Stacy Lattisaw, Surface, and a few other known names, but for me, one of the best albums released that year is super slept on. 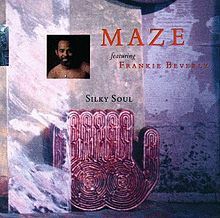 Maze and Frankie Beverly have a ton of hits. They are known more for their hits over their career than their albums if we are being honest. However, their album released this year "Silky Soul" was something special. A mix of smooth soul and upbeat funky soul, this album was undeniable to me when I first heard it. The title track, a dedication to Marvin Gaye, is still my favorite Maze song, and a beautiful listen. 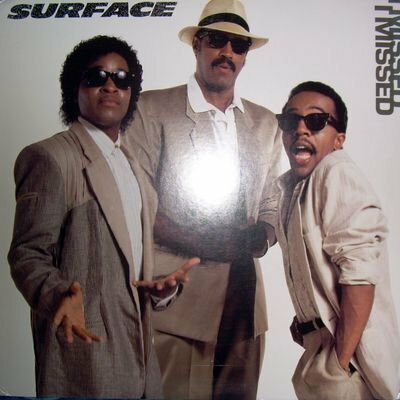 Another classic from the album would be "Can't Get Over You", which is pure soul and in a way, the ultimate feel good music, which Maze is infamous for. While this album tends to get slept on, it's really an amazing listen and one of my favorites on the year. 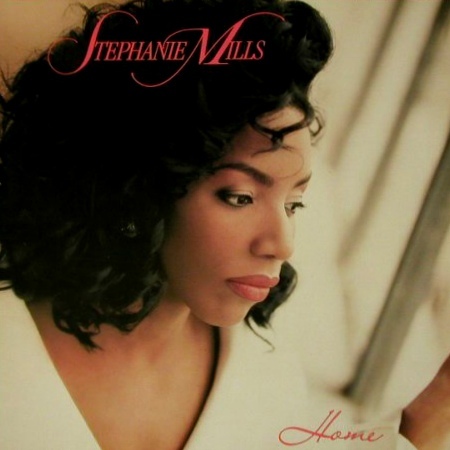 1989 wasn't the greatest year in R&B, but it was certainly a formative one for some of our legends. From Janet to Babyface to Prince to Maze, this year had something for everyone and remains an enjoyable year to reflect on in R&B.